EKU’s Epsilon Epsilon chapter of Tau Sigma has welcomed a total of sixty-seven new members during the 2018-2019 academic year. Several of the new members were acknowledged at an Induction Ceremony, hosted in the Welcome Center of the Whitlock Building, on February 28. Tau Sigma National Honor Society is an honor society exclusively for transfer students, whose mission is to "recognize and promote the academic excellence and involvement of transfer students." Tau Sigma provides its members opportunities to earn scholarships, attend leadership conferences, develop leadership skills, serve others at the university and in the community, all while developing friendships and becoming a more integral part of the university to which they transferred! 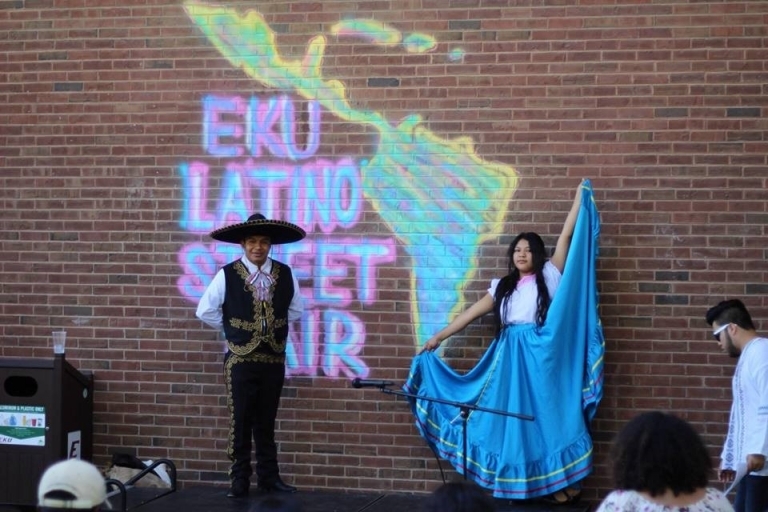 Membership is offered to first time transfer student who enrolled in a minimum of twelve credit hours their first semester at EKU and earned at least a 3.5 GPA or better in those courses. The new inductees were welcomed by founding president A.J. Chandler (2015), and former president Derrick Hudson (2016). Encouragement for getting involved, developing essential leadership skill and finding help and balance for life were brought by Loni Yost, Director of Student Life & FYE, Andrew Pendleton, Coordinator of Student Activities, Dr. Timothy Forde, Vice Provost for Diversity and Chief Diversity Officer,Dr. Lara Vance, Director, Student Success Center, and Dr. Brett Morris, Executive Director, Enrollment Management. 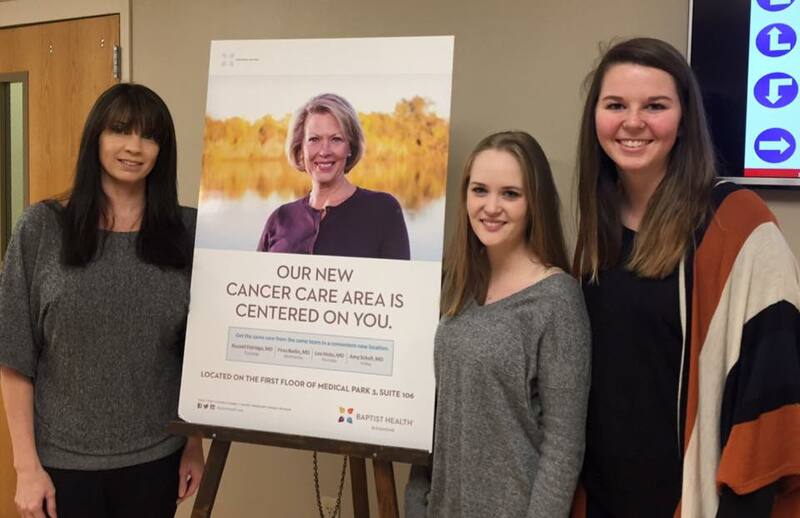 Special thanks to the Student Outreach & Transition Office team for their sponsorship and support of Tau Sigma. On the night of March 8, 2018, Eastern Kentucky University Epsilon, Epsilon Chapter of Tau Sigma inducted our newest members. 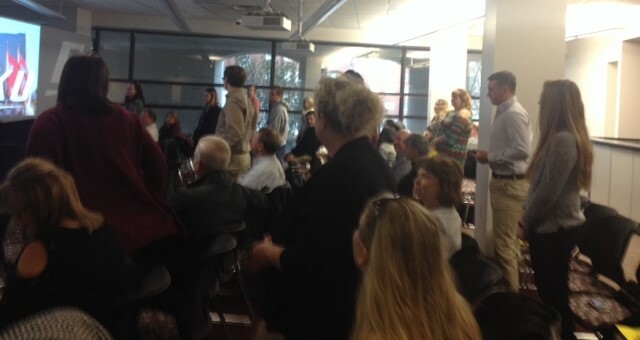 We had a great turn out at the ceremony with many family members, university administrators and SOTO staff coming out to support the new inductees. Dr. Michael Benson, President of EKU was one of our special speakers for the induction ceremony along with Bart Blankenship, Campus Visit Counselor with the Admissions Department. They both gave great speeches and truly made our inductions inspiring to all. Dr. Benson also assisted with the induction of the new members. 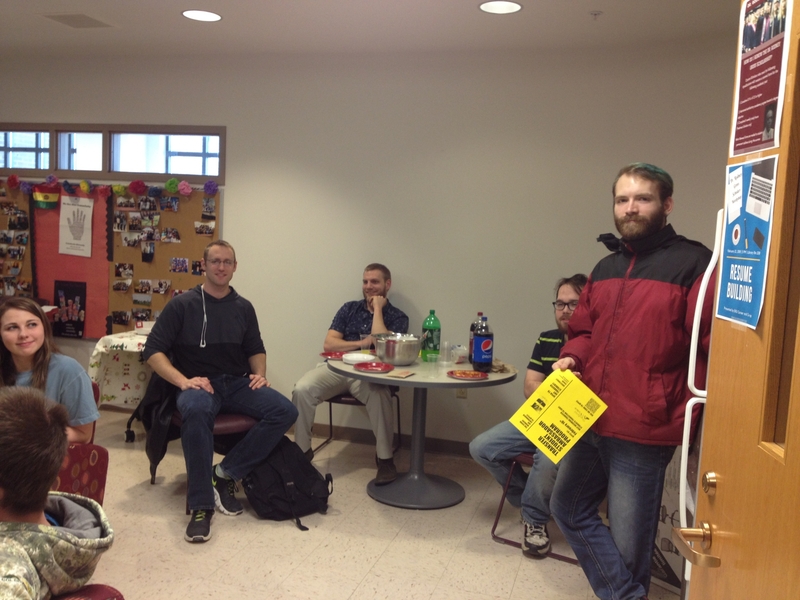 On Wednesday, January 31st, Tau Sigma hosted a Wheat and Greet. Current, new transfer students, and potential members came together to eat pizza, gt to know each other, and get to know more about Tau Sigma. 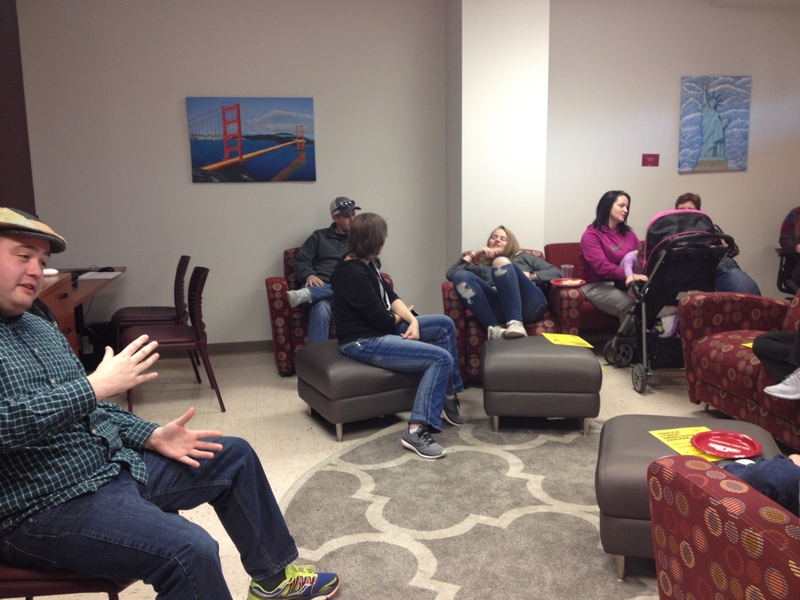 We had a great time getting to know each other and discussing the opportunities that are possible with Tau Sigma. 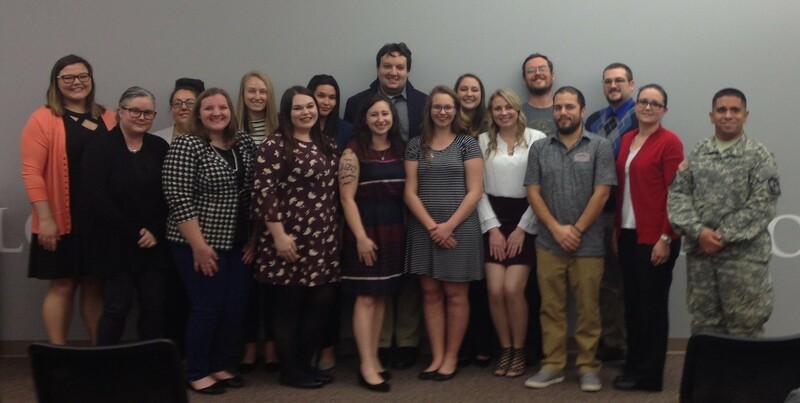 The night of May 10, the President, Vice President, and all of the new officers, as well as some current members of Tau Sigma National Honor Society gathered together to watch the new officers get installed. We all ate dinner together to celebrate the end of the school year as well as to celebrate the new officers. Catherine Wibbels, Alexis Catron- Williams, and Allison Engelman were installed into their new officer positions. Catherine is the new Vice President, Alexis is the new treasurer, and Allison is the new Secretary. Ashleigh Fletcher is the new President of Tau Sigma and she was installed into her new position as well. 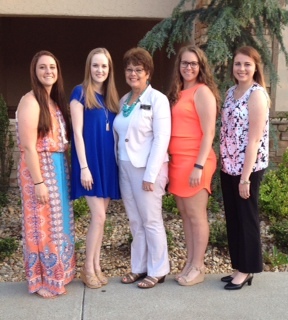 It was a great celebration and we are excited to see what next year holds for Tau Sigma! 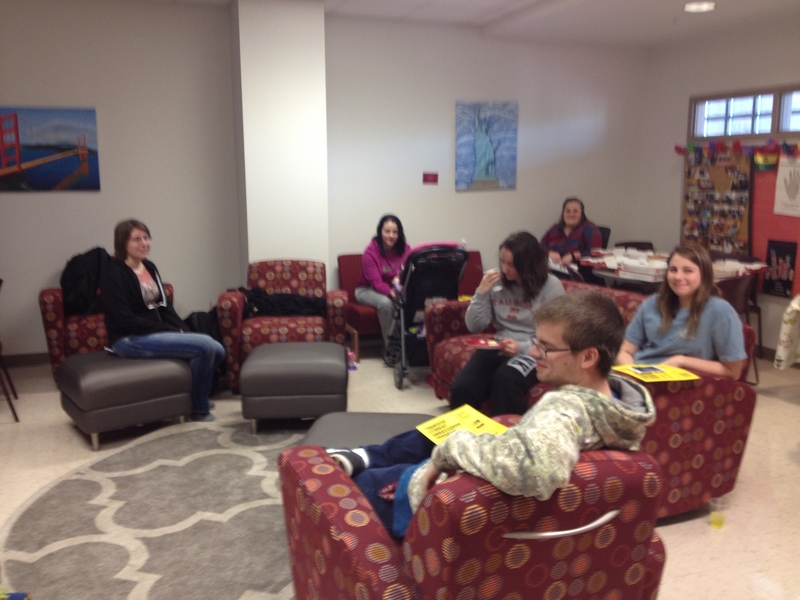 The EKU Chapter of Tau Sigma made Valentine's Day cards and delivered them to the Cancer Care Center, Infusion Clinic, Women's Care, and ICU patients. These cards really made a difference in the patient's day and brought a smile to their faces! 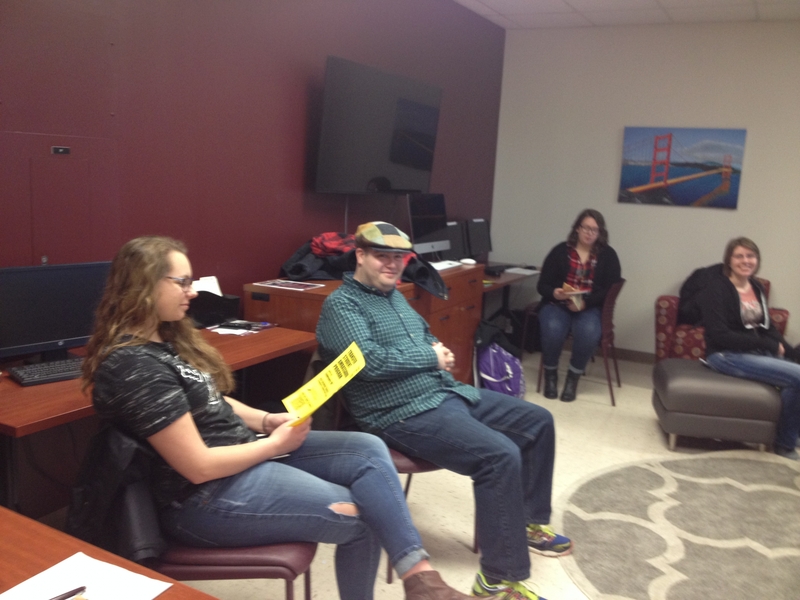 The cards were delivered by Emily Carter (President) and Ashleigh Fletcher (Vice President). Also pictured is Jessica Law (Operations Manager for Outpatient Infusion Areas). If you would like more information about Tau Sigma please contact the EKU Tau Sigma Advisor, Gail Creekmore, Transfer Admissions & Articulation Coordinator, at Gail.Creekmore@eku.edu.